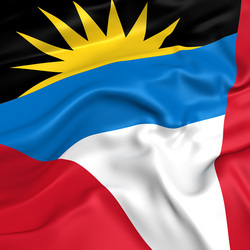 Ahhhh......... Antigua and Barbuda! No other country can claim to offer a different beach for each day of the year but you. Barbuda with its unspoilt pink beaches and Antigua with its golden shorelines together offer visitors a unique island experience. As the largest of the english-speaking Leeward Islands, Antigua shares her historic English Harbor and picturesque rolling hills to travelers from around the world. Accommodations include a wide range of arrangement from rustic cliffside cabins to luxurious private island resorts. No matter where you choose to lay your head, Antigua and Barbuda's warm people will make you feel welcome from the first greeting until you depart. Shirley Heights is an event not to be missed with its amazing sunset vantage, authentic grilled foods and hypnotic live music.